TORONTO -- Michael Wilson, a former politician, diplomat and longtime mental health advocate, has died at 81. 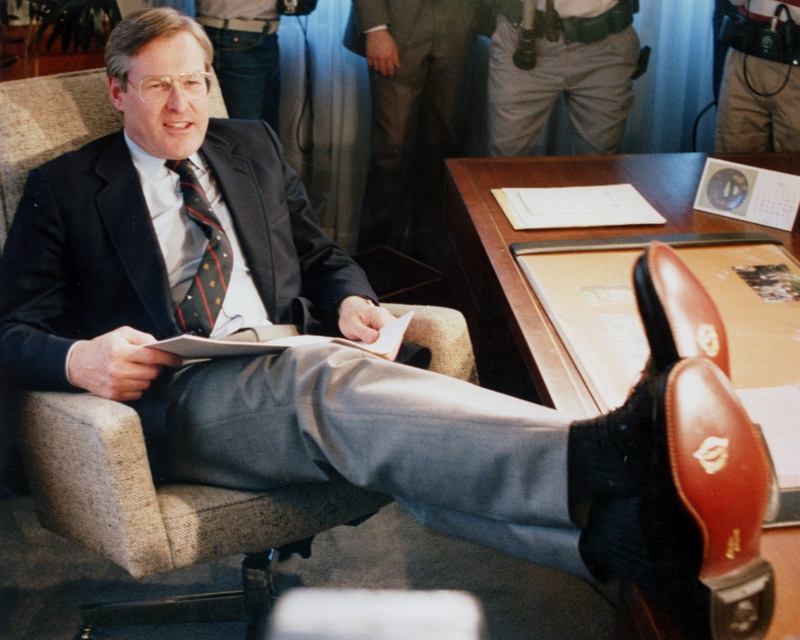 Finance Minister Michael Wilson is pictured showing off his new shoes prior to the upcoming federal budget in Ottawa on February 20, 1986. Michael Wilson, a former politician, diplomat and longtime mental health advocate, has died at 81. (THE CANADIAN PRESS). Michael Wilson’s dedicated service to Canadians - including his important work as Minister, Ambassador, and passionate advocate for mental health - will leave a lasting impact on our country. We’ve lost a truly great Canadian. My condolences to his family and friends. Michael Wilson was a gentle considerate giant in business, in public life, as a diplomat in Washington, & in our community. He will be sadly missed & on behalf of the people of the City of Toronto, I express sincere condolences to his wife Margie & the entire Wilson family. Sad to learn that the ranks of U.S.-Canada ambassadors lost a beloved member yesterday. Michael Wilson was a tireless champion for Canada and will be remembered as one who strove to bring our two countries ever closer together. My deepest condolences to his family and loved ones.